Hessler’s Pub and Grill has been voted South County’s #1 Neighborhood Bar & Grill. As a local favorite–it is such a great place for so many occasions! 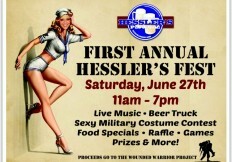 Check out the great stuff we have to offer and start planning your next visit to Hessler’s today!